Who among us isn’t on a quest for the perfect makeup application? I know I am. I’ve used many kinds of liquid, cream and powder makeup, along with many different applicators like my fingers, a brush, a sponge, and beauty blenders, all with varying degrees of success. 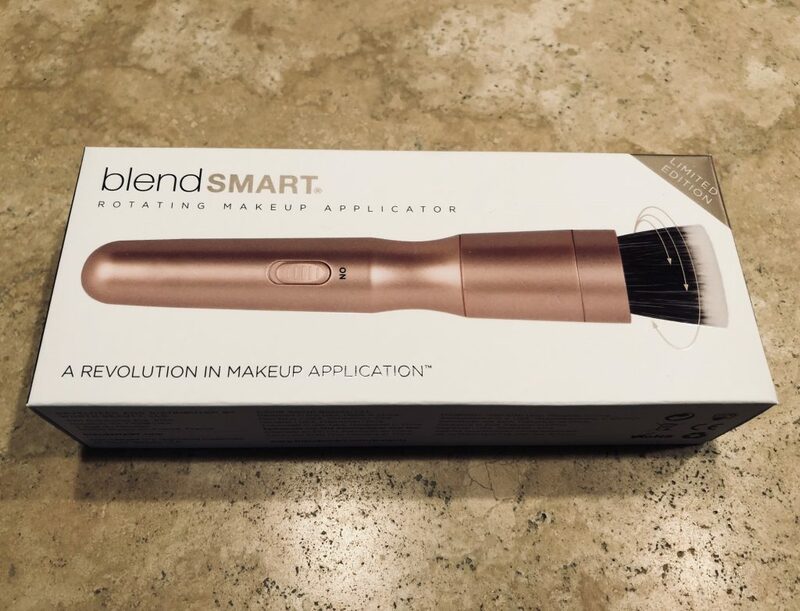 Recently I found out about applying makeup with the blendSMART makeup brush and had to give it a try for myself. 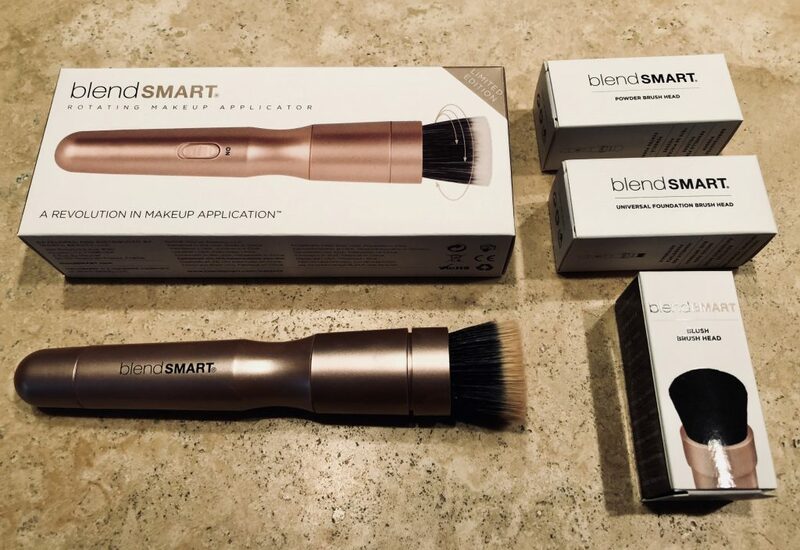 blendSMART offers a new way to apply makeup. You may have seen this product as it has shown up everywhere from QVC to Costco. 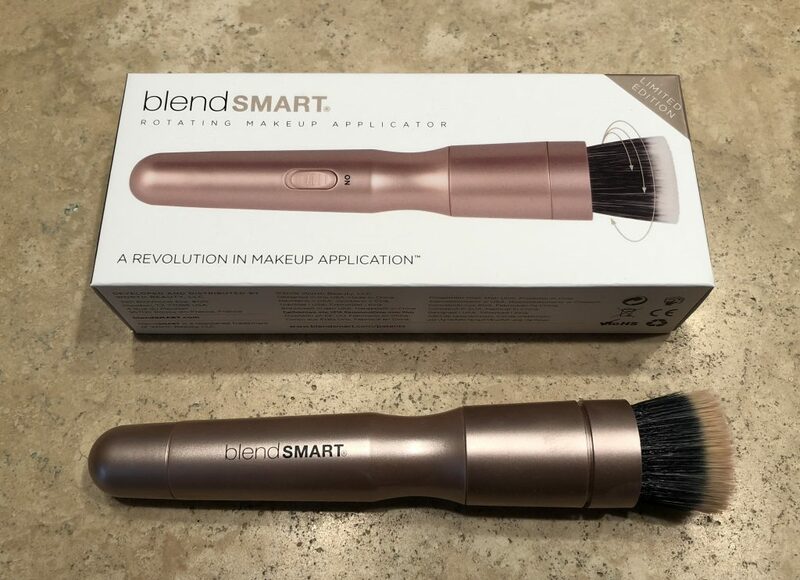 The premise behind the blendSMART is that as an electric makeup brush that spins, it can apply makeup gently and in such a way that produces an airbrushed finish. You can use it to apply foundation, blush, contour, highlighter, and powder. There are different antibacterial brush heads, and each attaches and removes easily with a magnetic drop-in connection. 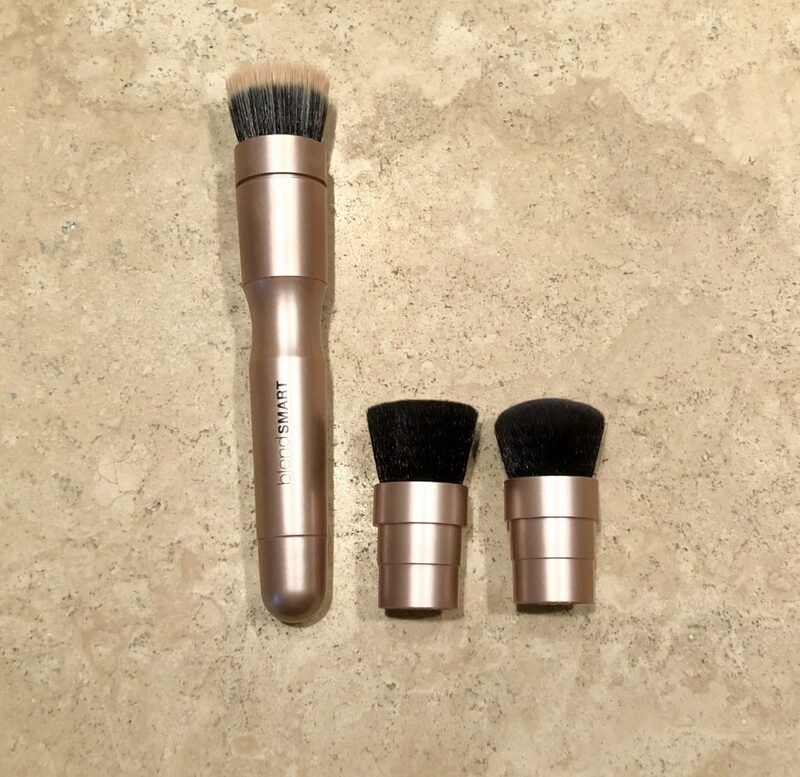 Depending on where you purchase the blendSMART, you may only receive the applicator and main brush, with the ability to purchase the other brushes for blush and powder separately. My purchase came with the brushes included. It came with the applicator and main brush for foundation, a brush for blush, and one for powder application. 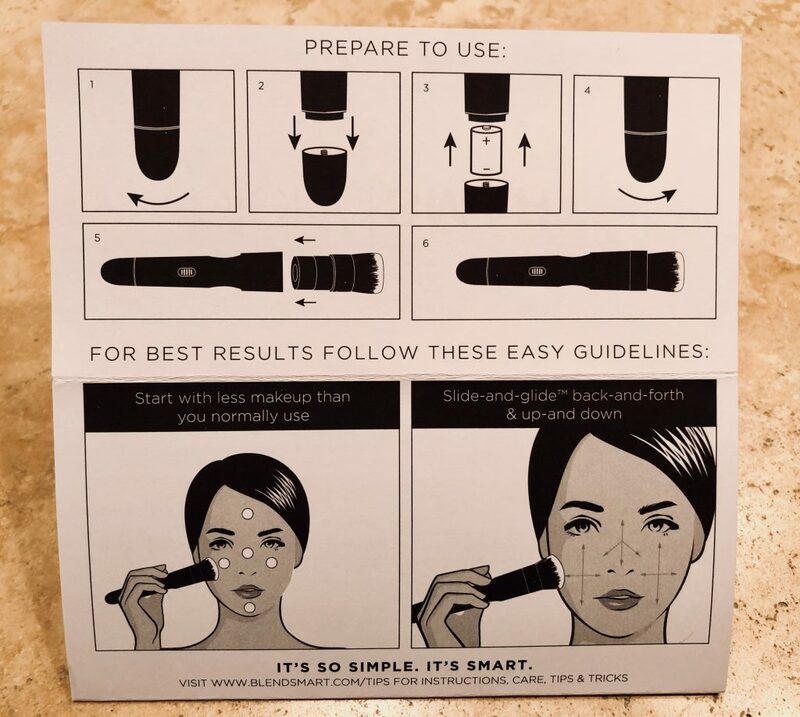 To use the blendSMART applicator, the instructions indicate to start with less makeup than you normally use, applying dots of foundation on the forehead, nose, cheeks, and chin. Then you turn on the applicator and let the spinning brush do the rest. Rather than use a circular motion with the applicator like you would a regular makeup brush, you move the applicator back and forth, up and down, letting the spinning motion spread the makeup on your face. 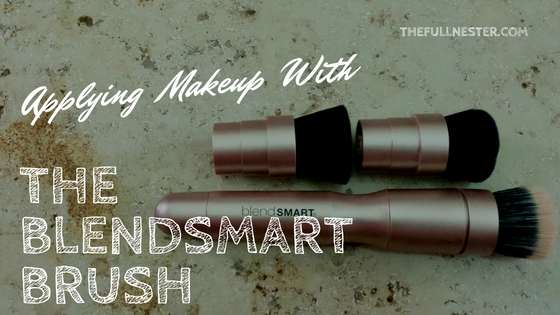 The first time I used it, I did find that I used less foundation using the blendSMART. I started out with a small amount, thinking I could always add more. I didn’t need to. I then changed out the brush head and used the blush brush. I did use a bit too much blush the first round and had to keep blending to tone it down. On the other cheek I used a very small amount and tapped the brush before turning it on and using it. That application went much better. I really liked the way all of my makeup went on using the blendSMART. The application was very even and I’ve never been airbrushed before 🙂 so I don’t know if I’ve achieved that yet but I did like the smooth coverage and seamless look of the blush over the foundation. I even applied a tiny bit of highlighter to the tops of my cheekbones using the powder brush and it blended really nicely. I don’t often use contour because I’m afraid I can’t get it to look natural, but I may try it now with this brush to see how it looks. I’ve never been one to wear heavy thick makeup. I wouldn’t make it as a drag queen. 🙂 I like my skin to look a natural as possible. As we age, I think this becomes more important because heavy makeup can settle in fine lines and wrinkles. If you read my blog about skin care you know that I read the book Toss the Gloss: Beauty Tips, Tricks and Truths for Women 50+ that encourages women to let go of some of those habits you can get away with when you’re younger and stick with a more natural look as we age. No matter how much makeup we wear, I think it’s important to BLEND. Everything should flow seamlessly from one to another, whether we’re talking about eye shadow, contour, blush or foundation. I think the blendSMART really helps with that. 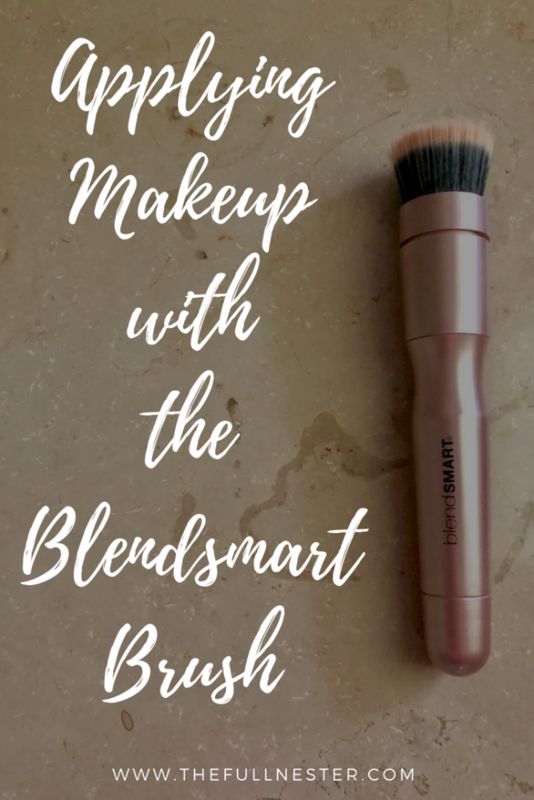 If you struggle with even application of your makeup, or want a more refined application, I would encourage you to try the blendSMART. It’s really fun and easy to use. The only thing you need to learn to use it properly is to not move the applicator in a circular motion like you’re used to. You just have to get used to moving it up and down and back and forth. You’ll also get used to using less makeup. You’ll have the hang of it in no time!